festival and community events mamma knows west |FREE EVENT| launch party for navigation park, tarneit!! 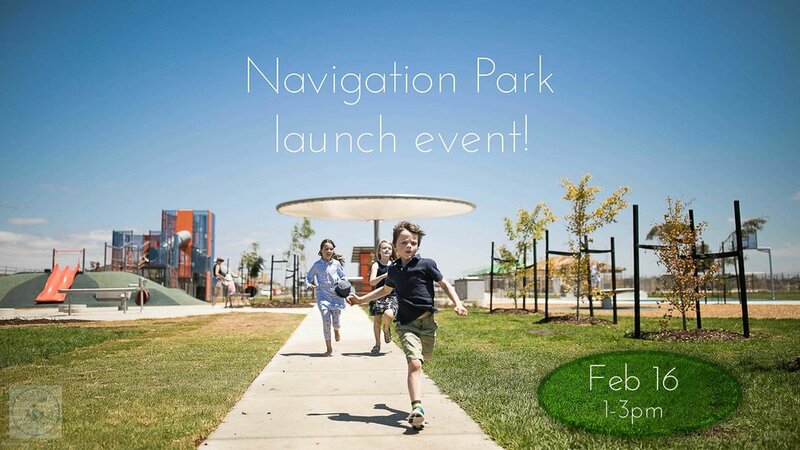 |FREE EVENT| launch party for navigation park, tarneit!! Mamma and Peet Ltd have been busy creating and developing this amazing community space for you to enjoy at the brand new Newhaven Estate in Tarneit. The aim was to create an open, welcoming and fun playground to create all YOUR own adventures! Climb through the huge elephant, wind your way through the water zone, swing to the highest of heights, zoom around on your scooter or just dance around on the green grass, it’s up to you! Enjoy playing on the climbing elephant, water zone, slides, mini basketball court, swings and MORE! Mamma can not wait so come along, get involved and enjoy a great event with the family! Mamma Sammi will be there chatting to all the kiddos about what they love about the park for a Mamma Knows West video so be sure to go up and say HELLO! For more info on this great playground, click here! Oh and don’t forget to pop into the Newhaven sales centre for a jump on the NEW FREE jumping pillow!